We’ve all seen logos using wrap around text, you know, where the name and/or tag line wrap around the logo. This is an old trend that we do not recommend for Logo Design because it is terrible for logo visibility. You are using more space and making it hard to read the name. 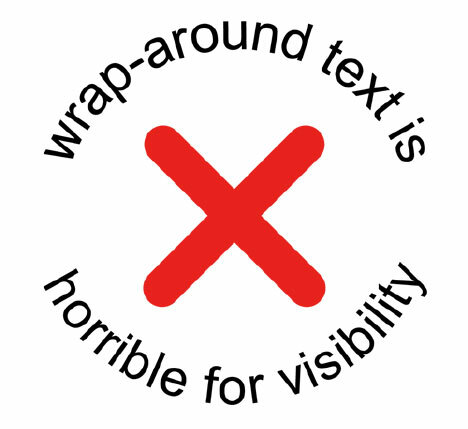 Watch the video below as Rob explains the truth about wrap around text and WHY it is absoultey terrible for logo design. To check out Rob’s book on Logo Design, click here.